The Sun is the UK's most popular online paper, but it is the Daily Mail that holds the crown as the most popular of Britain's papers in the world market. 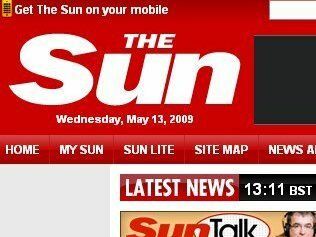 A report by ComScore shows that the Sun (4.6 million unique users) has a bigger share of the UK audience than the Guardian (4.3m) – although the broadsheet's growing reputation for quality online has brought about an 18 per cent rise in audience in the past year compared to the Sun's 8 per cent. Third place goes to another broadsheet, with the Telegraph's online presence attracting an audience of 3.9 million and an impressive 43 per cent growth on last year's March figures. In terms of year on year growth, it is morning free sheet Metro that has shown the biggest, with a 75 per cent growth inside the past year. In total, ComScore's figures show, 15.9 million people in the UK visited a newspaper web site in March, representing a 43 per cent reach of the country's online population. In global terms, it is the Daily Mail – only fifth in terms of UK audience - that has the biggest numbers, with Mail Online registering a massive 73 per cent growth inside a year to its current tally of 12.8 million unique users worldwide. Part of this is the paper's relationship with the community of popular aggregator Digg, which regularly sees articles voted onto the front page. The Sun is in second place in the global league of UK papers with 11.5 million, followed by the Telegraph (10.4m) and the Guardian (9.9m), with the latter actually being leapfrogged by both the Mail and Telegraph. "Traditional U.K. newspaper brands have proven to be very popular online, both here in the U.K. and around the world," said Mike Read, SVP and Managing Director, ComScore Europe. "Whether or not these titles choose to switch to subscription-based models, at the possible expense of audience attrition, remains to be seen. "However, we can be certain that the online medium has enabled U.K. newspapers to attract substantial incremental readership from other countries – audiences that were not nearly as accessible in the days of print-only publications."